Thank you everyone for the kind comments and lovely compliments you made last week after the first kitchen post, revealing the transformation of our once dingy and impractical kitchen to a bright, pretty and functional family space. Now for part two, the completed kitchen. I designed the kitchen inch by inch first in my mind then on paper. I had a folder 4 inches thick of inspiration images, sketches, references and tear sheets. I knew exactly what I wanted in every detail, so it was just a matter of make it come to life with the right joiner at the right price! My first rule, always use drawers. I never have cupboards, and especially not corner cupboards or ones with a folding door. I think they are a nightmare and you end up putting things in that you can’t see or reach and ultimately never use. So I only have drawers, of various widths and depths, and even if they are doors on the outside for the design feature, I put pull out drawers on the inside. I design my drawers with my appliances and crockery etc in mind, to make sure they will fit. I had a checklist of features I wanted in the kitchen such as the proud skirting, the corner posts, the profile and joinery details, the hearth over the stove, the display ledge, the drawer profile, the open shelving on either side of the stove, the sink, appliances, glass cabinets mixed with solid, the height of the cabinets, cornices. I had done several sketches of these details and photos taken on trips to the US where I had visited kitchen showrooms and take countless photos of details I loved. I managed to incorporate most of them into the design and then found a someone to recreate my vision. It was a painstaking, long and involved process finalising each detail, and I’m sure I drove them nuts with my irritating perfectionism, but it was well worth it. 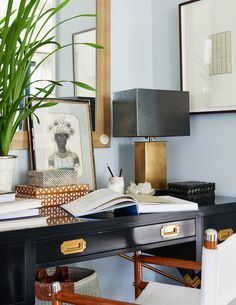 The space itself posed a number of issues and forced compromise on things I wish could have been different, but when you are working within an existing house and room foot print and not from scratch, you have to make the best of what you have. I only had one relatively short wall to use, which was immediately taken up with the stove/oven, fridge and a few cabinets. I had nowhere to put a butler’s or walk in pantry as much as I would have loved one, so had to make use of the two sections of wall either side of the French doors. One has the pantry and the other is more for display and houses the coffee and tea making paraphernalia. It still isn’t ideal and I don’t have enough pantry space by half, but it was the best I could get given the wall space. I considered all kinds of tapware, but after my last experience buying taps from the US I was sure I wasn’t going to risk that again. So all my tapware was sourced locally. I would have loved to have a stunning English Tapware set in polished nickel, but budget is always a constant pest and this one with the accompanying vegetable spray was a lovely next best thing. The island is a fabulous size and width, and anchors the kitchen in the large open space. I always like seating at the island as the kids are still young and eat there, and invariably guests always gather in the kitchen, no matter how many comfy seating areas you have elsewhere. Again, I would have liked a few other features in the island such as a book shelf for cookbooks, a larger bin drawer and somewhere for hanging tea towels, but space was the issue. In this kitchen I admit I completely favoured aesthetics over function in many instances. It might not be the most user friendly, state of the art or practical kitchen I could have designed, but it sure is pretty! All the detail on the cabinetry looks gorgeous but admittedly it is a nightmare to keep clean as there are so many surfaces to catch dirt, dust and grime, so it’s a bit-weekly job to keep clean. Not that I do it bi-weekly, but if I was more particular I would! In my last few kitchens I have always chosen a stainless steel sink with draining board, because I had favoured the function over the form. But this time I blew that off and just went with something I loved, which is a farmhouse or butler’s sink. Again, I do miss the draining board and they are very practical, but this just looks so lovely. I do find though that you always end up forfeiting one sink for the dish rack or drainer, and it’s always full of hand washed stuff, so I never have two clear sinks to use. The kitchen bench tops are higher than I have had before, these are 950mm as suggested by the joiner. This was because it’s supposed to be easier on your back, but I hated it at first and found it took a lot of getting use to. My chopping arm used to ache at first, but I’ve adjusted now. It is in proportion with the scale of the kitchen and height of the ceilings which are 3m, but it also means the wall cabinets are higher than usual which can make the top shelves hard to reach. I decided on two tall dish drawers and I’m so glad I did. However, we did have a hiccup a few months in when I noticed these awful stains appearing in the marble. They would appear for a few days then go again, then reappear and couldn’t be cleaned off. I thought I was going mad and when I complained to the marble company they clearly thought I was in the wrong and tried to lay blame on me for doing something or using some product I shouldn’t. I finally convinced them with photos to visit and it was then that we worked out the problem. The steam from the dish drawers was escaping into the cavity underneath the slab and being absorbed by the marble, turning it darker. The location depended on which machine I had used, the length of the cycle and temperature in the kitchen, which was why it was so random and why it would disappear as it dried out. Who was responsible for this is still a moot point. The dish drawers were not plumbed in as they should have been on installation so that the steam could escape into the waste pipe. Instead it was being trapped under the bench. On the flip side, the other argument was that there should have been vents built into the skirting so that the steam could also escape that way. Regardless, the problem has now been fixed by the appropriate plumbing and everyone was hugely relieved it was so simple and effective a solution. My tip, when you buy appliances for your kitchen or laundry is to make sure everybody, including you, reads the installation instructions so that mistakes aren’t made and important details overlooked. I had originally wanted the kitchen cabinets to go up to the ceiling without a gap or need for a bulkhead, and I designed it with an extra row of a mix of solid and glass fronted cabinets, mostly for display and also to house the ducting for the range hood. I do love that look and it makes the room and kitchen just flow beautifully without the interruption of the break, and makes the room seem bigger and ceilings higher. But when it came to costing it, this extra row of cabinets added an extra $10k to the price, so I reluctantly had to forgo them. However, I think making the hearth higher and still grand hopefully achieved a similar effect. It did pose a problem with the range hood, where to duct and extract the fumes and smoke, now that there was a gap, so I had to resort to a charcoal filter based range hood which is meant to clean the smoke and fumes as they rise, and allow clarified air into the room. However, the smoke alarms go off regularly when I’m cooking something on the stove on high heat, so clearly they aren’t that effective. Another lesson learned! The splashback tile is a glazed hand painted Spanish tile. I was going to use marble mosaics and found some stunning patterns in a marble factory in China, but decided on the blue as I felt the kitchen needed a bit of colour and a focal point amongst all the white. I don’t have problems with the grout getting dirty or being hard to clean at all, so never worry about having a tiled splash back. I bought most of my lights in the US and had them shipped over, although a few were also bought locally. I have a whole other post on buying lights from overseas, converting and the lessons I have learned there, expensive ones of course. All in all, it’s a beautiful space that I love and am proud of, and is a wonderful beating heart of our home. It’s bright and sunny, has lovely view of the garden, is central and open, it’s pretty and welcoming and cosy at night. Ok, if I’m completely honest, it’s not the best designed kitchen from a storage, function or practical point of view, but I made choices and decisions knowing the consequences or benefits, and you can’t have everything! But I do so love pretty. Kitchen and design looks wonderful, did your husband have input into the design or was he happy to hand it all to the expert? I think all drawers is a great idea, hate corner cupboards- in fact any cupboards in the kitchen! Luckily my husband doesn’t interfere in any way other than the odd comment or opinion which I generally just smile and nod politely at! He does expect me to keep my nose out of garden plans in return, which I find a challenge! what is the hardware used on the cabinets in this beautiful kitchen? Your kitchen looks absolutely amazing. Having moved into our new house 6 weeks ago I know how much we sweated over small things and were annoyed over compromises. However, looking at your kitchen (and now mine) you cannot see any of those issues, it looks just lovely. I particularly like the blue touches. I wish I could post on here my new kitchen inspired by your black and white kitchen post (and many hours on Google images!). My island is dark grey with a carrara marble top with the other cabinets white with a very dark grey counter top. A leap of faith but I think it looks great. Love all of your posts, you really are a clever clogs! Stunning kitchen Mel! I do love a pretty kitchen too – it was well worth the wait I’m sure. We have exciting news – we have just paid our deposit on a 2 acre block of land in East Bowral, we are moving down at the end of this year and hope to start building on it early next year, so would love to contact you soon for your services! Oh that’s exciting, good luck. Gorgeous. Love hearing about what you would have done and the choices you made as I’m in the midst of a renovation myself. The end product is beautiful. It’s stunning Mel! You must be pleased as punch with it. Oh to have the luxury to design your dream kitchen, ONE DAY…maybe…hopefully… It wouldn’t be too dissimilar to your beauty I think, I love your cabinetry. I unfortunately have one of those corner cupboards with hinged door, the things that never come out of that cupboard! I love your philosophy of no cupboards, just drawers. Do the cupboard either side of the oven have drawers within them? A walk-in pantry is the stuff of my dreams, too bad you had space constraints, is your pantry that bit above the bench to the left of the toaster? Do you find it hard to access? I also really love the addition of the cabinetry in that little dining area, I love a bit of an overflow of cabinetry from the kitchen. Would also love to know how you like the stovetop in that set-up with the hearth and inset? A lot of kitchens I like have it, but I’m unconvinced on if it’s a little bit of a hole hard to work in, or if those side shelves would get awfully dirty? A sink and tap just like yours is up there on my wishlist too, but yes the practicality of a draining board always wins out! All the pretty though! It all works pretty well and I’m happy with it. I do need a bigger pantry but that’s what I’ve got and the hearth is great. Oh and also, is that a second oven you have there? Since having a wall oven, now back to an oven under the stovetop, I am convinced of a wall oven now, a double one too. I am assuming also that you have cupboards on the other side of your island, beneath the stools? Beautiful result Mel. The colours and design look beautiful. You certainly have a great eye for lovely combinations. Thankyou for your honesty about your choices and associated problems. I love the way you keep ” it real” for your readers. What a lovely kitchen. As I said last week, it must be an absolute pleasure to walk into. I am sure ypu will not notice the compromises. Pretty is well worth it. Beautiful! It must be a joy to work and live in! Lovely new kitchen and home!! I’ve been visiting your page from time to time to know if you have already came back, and yesterday I got a nice surprise! I’ll be looking forward to new posts to see your beautiful new home! Wow!! What an amazing transformation. So glad you are back on the blog, I had missed your fabulous posts. I stumbled back on your blog through Pinterest, thank goodness!!! I am so looking forward to seeing the rest of your transformation of your beautiful house. It’s giving me lots of encouragement to getting back on track to planning our extension and new kitchen. I love your kitchen Melinda. Just wondering where you sourced the kitchen mixer? Was the veggie sprayer also from turner and Hastings? I can’t seem to find one. I think it may have been from Reece, but I can’t recall. Hi Mel, was hoping you’d share where your bread box cam from? I have the exact same kitchen tiles as you and it looks like a perfect match! Stunning kitchen you have there! Yes such a pretty colour. Sadly I bought it in a garden shop in Bath in the UK! What is the colour you have used on the walls please? It’s a colour I had mixed to match a Benjamin Moore paint colour. Would you mind sharing which Benjamin Moore colour you matched? You’re kitchen looks beautiful! Where about a did you get your Roman blinds from? I have them custom made through my business. Hi Mel, gorgeous kitchen. You must love being in it. Im designing my kitchen at the moment, very similar, a clean modern hampton style. Can I ask how thick your benchtops are. Im going back and forth between 20 or 40. In fact we are definately using 20 along the wall (main kitchen) and then 40 mitre cut on the island. Im also having a butlers sink after much deliberation. It is a very pretty look. They are 40mm and I would always recommend going as thick as you can afford. It looks much better. Hi again Mel. Just re-read your kitchen blog. Im nearing the end of mine now and can see the finish line. I think I came close to a nervous breakdown. My husband had to draw up the out proud columns on a wall in our house so we could work out the measurements and we think we finally have it right. Can I ask how you did your legs on the island? Everytime I look at these type of islands they all seem to nail the look of the mouldings. Is there a standard to follow? My cabinet maker hasn’t done a kitchen quite like this before but since starting mine, has had a few clients interested in the same thing. So he is treating mine as a work of art with a professional photographer coming in at the end. So I know he is trying to give me exactly what I want and like you, I am somewhat of a perfectionist and every detail has caused me angst. I call it my $10,000 headache as this is what we will end up having saved by using a cabinet maker. Can I also ask what is the width of the column at leg and at skirting. We worked on the leg being 130 w and by the time we got to the skirting it was 190 w. Also we worked the out proud portion (from the side view) to be 18mm. Details, details…would love your affirmation that I’ve done the right thing, regards, Kylie. Hi Kylie, Hoping you got my email a few weeks back replying to this and that it was useful. Cheers. Hi Mel, it did thanks. Ive since found a moulding company and got exactly what I was after. My cabinet maker did a mock up of the island bench with semi recessed legs and it was just perfect. Its made me feel at ease with it all. Kitchen is just starting to go in now, its starting to take shape. Now onto the bathrooms (a fresh new stress), regards, Kylie. Hi Mel, I would like to ask you if you would be so kind as to tell me where you bought your handles from. I ask this as I’m almost finished designing my renovated kitchen and cannot decide between cup pulls and handles such as yours. Thanks So much. I bought them from Mother of Pearl Trading in Sydney, but find them impossibly frustrating and hopeless to deal with and struggle to recommend them. I also have found that the handles have tarnished and don’t polish out. I would recommend getting them from Restoration Hardware or Pottery Barn in the US. You could try Early Settler who have a selection of similar classic handles. Hi Mel, gorgeous kitchen! please could you let me know where I can locate your post about buying lights in the US and the lessons you learnt? Hi, love your kitchen. Found it by googling marble countertops! Can you share your sink source? Thx! The farmhouse sink was purchased through Turner Hastings. What was the name of your countertops? Beautiful!! Hi Melinda, Your kitchen is gorgeous! I am in the process of renovating my kitchen and wanted to use a similar kitchen cabinetry profile. In looking at your kitchen drawers and doors, I like how understated and clean yet a very elegant look. Can you send a close up picture of your cabinetry profile so that I can look for something similar? Thanks so much! Hi Mel,I also love your gorgeous kitchen! please could you let me know where I can locate your post about buying lights in the US and the lessons you learnt? I know what I want but can’t find them on Aussie sights. It was probably lost when I migrated the site to WordPress, but I have had more success with lights recently and bought most of mine for our house renovation in the US, and just had an accommodating and helpful electrician who was willing to install them. They didn’t need altering at all, so I have a suspicion I was ripped off a few years ago in Sydney but a man who insisted I had to have them all changed. There is just so much more variety and choice there and you get what you want and what everybody else doesn’t have! I think it’s worth the risk, as long as you have an electrician who isn’t too precious! M.
I love the light – was that from the US? Have you had any experience with USA tapware and if it will work in Australia? I’m really keen to buy a potfiller. I would only recommend using English Tapware for those as the ones from the US I can’t vouch for. Was wondering what colour and where you sourced the Spanish splash back tiles from. They are exactly what I am looking for. They were bought at our local tile shop Don Ceramics. Your kitchen is beautiful! 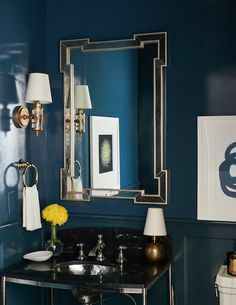 I love the backsplash and I am searching for a similar tile. Is this an aqua color? Any recommendations of where I can to purchase the tile? Your kitchen is beautiful, may I ask where did you get your lanterns from?? I bought them online in the US and had them shipped. They are Regina Andrew lights. Hi Melinda , I love your style and kitchen ! Thank you so much for sharing your experiences i have been umming and urrring about importing from uk and usa as the products are so lovely . Did you use a freight fwd company to send back your goodies ? Also can I ask who was your cabinet maker ? I bring things back when I travel there, unless they are small and I buy online. The cabinet maker was Highlands Kitchens in Camden. Your kitchen is elegant and timeless, just beautiful. I am currently building and have been in search of the perfect grey for my walls, my hardest decision of the whole process! 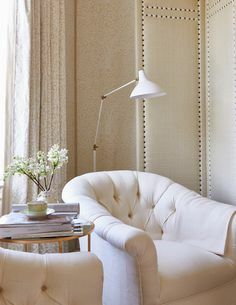 I note your reference previously to the Benjamin Moore colour, however was wondering if you would mind sharing the name of your wall colour? It would be greatly appreciated.